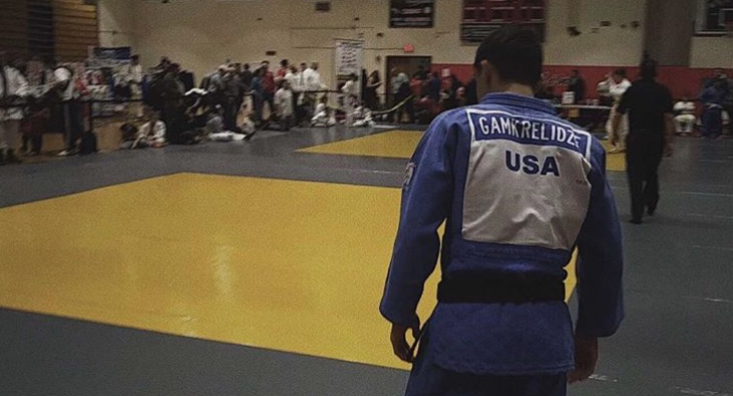 I would be careful as a Midwood student who you mess with, because you may be sitting next to the United States’ number one 66kg Judo fighter, Dimitri Gamkrelidze. Gamkrelidze won the National Championship for Judo on March 9 at the Olympic Training Center in Colorado Springs. Judo is a form of wrestling where you use grappling and leverage to unbalance the opponent. Points are awarded when the opponent is thrown onto their back. Gamkrelidze competed in the biggest division, 66kg (145 lbs). There were 17 competitors in his weight division. The World Championship was in Colorado, at an elevation of 6,000 feet above sea level. This was a challenge for Gamkrelidze. Gamkrelidze had to do more training than he normally would for a competition. Normally, he practices Judo for two hours every day and stays behind for weight training. But the elevation added an extra challenge. Gamkrelidze came into this competition with a winning mentality. But there’s a lot more to Judo than competition, explained Gamkrelidze, who started the sport when he was six. Gamkrelidze has become such close friends with his teammates that he considers them brothers. At times, Gamkrelidze has been able to transfer his Judo training into real life situations in unexpected ways. Gamkrelidze has a diet to follow, and he has to be a certain weight for competitions. He has been following the same routine for more than half his life. There’s always the risk of injury. During the middle of a recent fight, his elbow “popped out,” he said. However, this won’t stop Gamkrelidze from competing in future matches, and it looks like there’s more to come from this young sensation. “Although winning nationals seems like a big accomplishment, it’s only just the beginning,” he said. Rebecca Grigoryev and Elizabeth Vool contributed to this article.